“Whoever saves one life, saves the world entire.” So goes a Jewish proverb that Itzhak Stern (Ben Kingsley) uses to console a regret-haunted Oskar Schindler (Liam Neeson) at the end of Steven Spielberg’s life-affirming masterpiece Schindler’s List (1993). These simple yet poignant words capture the essence of the film’s timeless thematic statement that every single human life is of priceless value and worthy of the utmost protection. While its realistic depiction of the Holocaust obviously makes it a difficult cinematic experience to endure, Schindler’s List nevertheless merits repeated viewings due to the inspiring portrait it paints of human value and the mysterious power of grace. Little does he realize that his fantasy will soon be proven partially prophetic– just not in the way he currently imagines. Schindler is furious when his entire Jewish workforce is forced into the new Plaszow concentration camp after the Nazis’ liquidation of the Krakow Ghetto. “They’re mine!” he yells at the sadistic camp commandant Amon Goeth (Ralph Fiennes). While he is not yet concerned for the Jews as human beings whose lives are in grave danger, he is concerned for them as profitable laborers whose departure has put him in grave danger of losing lots of money. That being said, there have been a few subtle signs of a gradual transformation occurring in Schindler’s self-centered heart. During a horseback-riding outing with one of his extramarital lovers, he witnesses the Nazis forcing the Jews out of the Krakow Ghetto and killing all those who do not cooperate. He does not say a word, but there is a profoundly disturbed look in his eyes that conveys great compassion lying beneath his exterior selfishness. A subtly perceptive man, Stern takes Schindler’s diatribe in stride, knowing that it does not accurately represent him as a whole. Schindler is the sort of man who says one thing and does another, and Stern knows this. In subsequent scenes, Schindler is seen doing exactly what he proclaims to be against: using his monetary resources and Nazi connections to usher more endangered lives into his factory. 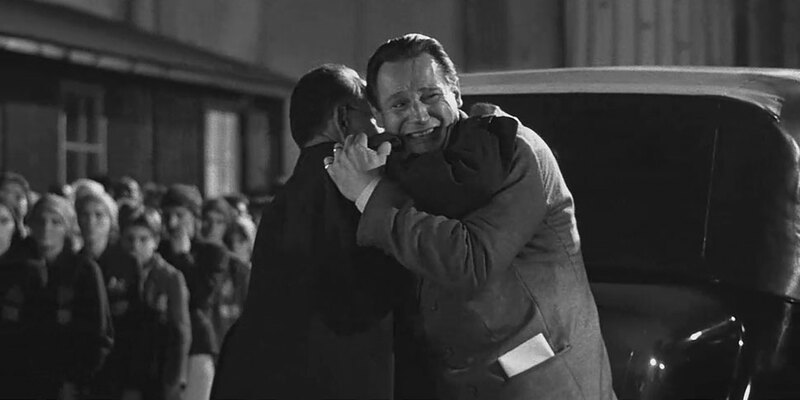 When Schindler hears that all the prisoners of Plaszow, including his factory workers, have been ordered to be shipped to Auschwitz and other infamous death camps, he takes a prolonged shore leave from his self-centeredness and dedicates the next year of his life to saving as many Jews as he can from nearly certain death. Using all the money he has received from his business ventures, he establishes a munitions factory in the Czech city of Brinnlitz as his own labor “camp” and then bribes Goeth and other Nazi officials to send a number of Jews there that ends up totaling about 1,200. Schindler’s shift from narcissism to heroism is undeniably an enigmatic one. There is no dramatic moment when he looks himself in the mirror and starts singing “Who Am I?” like in Les Miserables. He does not have the equivalent of Hamlet’s soliloquy or Paul’s conversion on the road to Damascus. Rather, he simply becomes sickened by the inhumanity around him and decides that if he is a halfway decent human being, he needs to do something about it. It can also be surmised that there is a strong element of divine grace responsible for Schindler’s profound conversion of heart. A nominal Catholic, he follows his faith loosely but clearly believes in God as is depicted in a touching scene when he makes the Sign of the Cross before a moment of silence to pray for all the Holocaust victims. One of his chief vices of loosely spending all the money he makes becomes a chief virtue when he willfully spends it all to save lives; God is famous throughout history for releasing such vice-reversing storms in souls. Finally, he contritely approaches his estranged wife and promises that he will never be unfaithful to her again, which perhaps shows that after Grace touched his soul, it gradually compelled him to be a man of complete integrity and not just a “pick-and-choose” hero. Schindler’s List is a movie that needs to be watched and re-watched for generations to come. Yes, it is not lighthearted fare, but it is an ultimately uplifting film that leaves a deeper appreciation for life and love for humanity in the hearts of all those who choose to experience it. Divine grace can mysteriously alter even the most self-centered of people, and every single human life is of immeasurable value; such is the luminous hope and inspiration we can take away from Steven Spielberg’s timeless historical masterpiece. 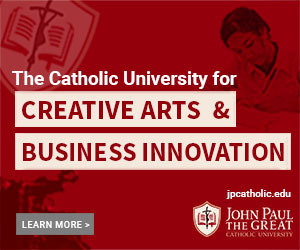 Sam Hendrian is a student at John Paul the Great Catholic University (Class of 2019) pursuing a double emphasis in Screenwriting and Directing. What are your thoughts on Amazon's decision to cover the Second Age of Middle-earth?